This isn’t the first time I’ve delved into film adaptations of novels. I’ve listed movies that barely resemble the books they’re based on and movies that contradict their books’ endings. This time I’ll go a little more obscure and share 10 classic films you probably didn’t realize are based on books. Some of the books were bestsellers and others barely sold a few thousand copies before the film version of them came out. So let’s get comfortable with a good book and see 10 gems we’ve missed over the years. Kicking off our list is one that will likely come as a complete surprise. 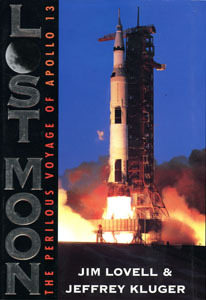 Yes, Ron Howard’s masterpiece Apollo 13 is based on true events, but it’s primarily based on Apollo 13 Commander Jim Lovell’s account of those events in his 1994 book, Lost Moon: The Perilous Voyage of Apollo 13. 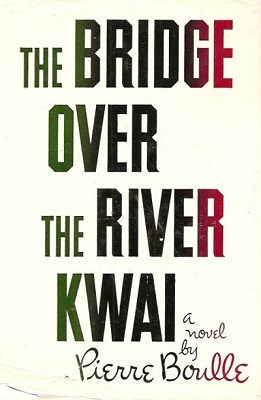 One of David Lean’s best films in his incredible directing career is The Bridge on the River Kwai, an adaptation of the 1952 French novel Le Pont de la Rivière Kwai, translated into English as The Bridge Over the River Kwai. The book is not a historically accurate account of events during World War II, but that hardly matters since it’s really all about the archetypal characters and their forceful interactions with each other. The film makes some subtle yet significant changes to the climax and the fate of the bridge. It also changes one of the main characters into an American, likely to play up William Holden’s role since he was such a big box-office draw at the time. 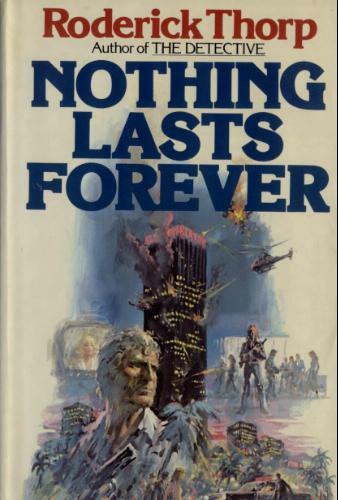 Nothing Lasts Forever sounds more like the name of a James Bond movie than it does the name of the book that inspired the most classic action film of our generation. Coincidentally, the 1979 novel is a sequel to an earlier one by author Roderick Thorp and Die Hard was originally planned as the sequel to 1985’s Commando before Arnold Schwarzenegger turned down the role. The book’s main character Joseph Leland is transformed into John McClane in the film. The film makes a lot of other changes to the book, such as the fact that McClane is much younger than the retired cop Leland, his wife is still alive, and his actions are much more obviously heroic, to name a few. They’re both great, and I recommend checking them out, especially since we’re so close to Christmas. By the way, Die Hard 2 was based on a completely unrelated novel entitled 58 Minutes by Walter Wager, Die Hard With a Vengeance used a screenplay originally meant for Lethal Weapon 4, and Live Free or Die Hard was based on a Wired magazine article. It’s pretty crazy all the distinct sources these films have. W.P. Kinsella gave his take on Americana in his 1982 novel Shoeless Joe. In that novel, a man named Ray Kinsella feels compelled to build a baseball field in his cornfield. He is then visited by the ghost of disgraced baseball player “Shoeless” Joe Jackson and the famously reclusive author J.D. Salinger, author of Catcher in the Rye. Salinger was reportedly not amused at his appearance in the book, so when it came time to turn it into a film in 1989, the filmmakers wisely changed him into a fictional author named Terence Mann. 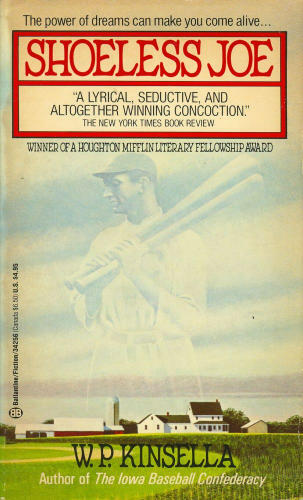 The name Field of Dreams comes from an early working title Kinsella had used for his book. You can read my thoughts on the film here. Forrest Gump beat out Shawshank Redemption, Pulp Fiction, and the underappreciated Quiz Show to win the Academy Award for Best Picture of 1994. Did it deserve it? That’s debatable. But more interesting to me is that it won Best Adapted Screenplay over other contenders that I thought were clearly better written. 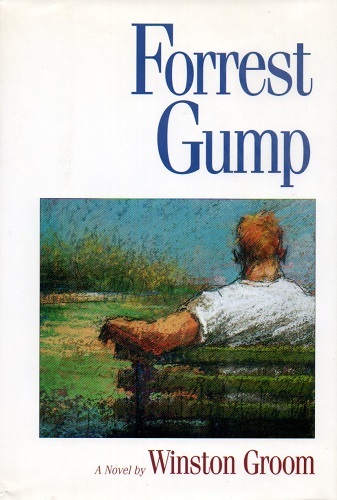 It’s basically a sanitized version of the rather vulgar, somewhat popular, and incredibly preposterous 1986 book, also called Forrest Gump, by Winston Groom. I say “preposterous” because the book postulates that Forrest is a misunderstood genius, and he has many more adventures than the ones that happen in the film. Thankfully, the filmmakers knew where to draw the line on believability, and that’s saying something in a film where the titular character becomes an All-American in college football, meets three U.S. presidents, runs across the country multiple times, and becomes a world-champion Ping-Pong player, just to name a few of his achievements. 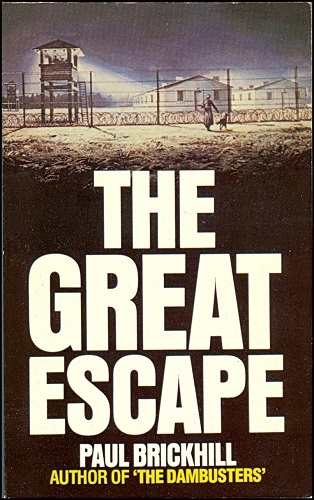 Published in 1950, The Great Escape tells the true story of a daring getaway made by Allied soldiers from a German prison camp in 1944. It was written by Paul Brickhill, who was at the camp when the escape was made. Thirteen years after it was published the book was adapted into a star vehicle for Steve McQueen, Charles Bronson, James Garner, and a huge ensemble of other famous actors. The film changed many things about the book, shifting the focus away from the British and Canadians to highlight the Americans’ participation. It combined characters, added fictional aerial and motorcycle escape attempts, and made other changes to heighten the drama and action. I love the 1998 version of The Parent Trap even more than the 1961 version, but I’ll go with the older one for this list because it’s an undisputed Disney classic. 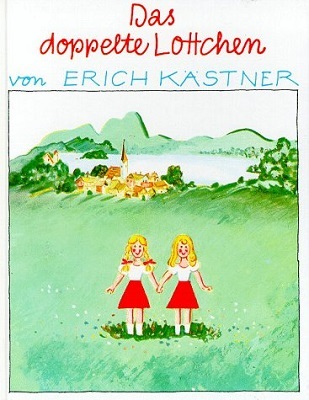 The Parent Trap is based on the 1949 German novel, Das Doppelte Lottchen, by Erich Kästner. Its English translation is called Lisa and Lottie. The film is strikingly close to the book, only really changing the setting and adding a mean potential step-mother for the girls to overcome on their way to setting their parents up to fall back in love. Amazingly, the 1961 Disney film wasn’t the first time this book was translated into a film. West Germany, Japan, and Britain had already made their own film versions in the ‘50s. And India, Iran, Sweden, and other countries have made numerous adaptations since then, as well. For some reason this story of twins separated at a young age and reunited through good fortune resonates with audiences across vastly different cultures. 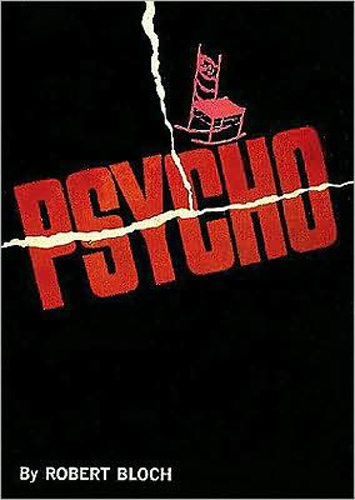 Rumor has it that after reading Robert Bloch’s book Psycho in 1959 and obtaining the film rights for it, director Alfred Hitchcock wanted to destroy every copy of the book to prevent its twist ending from being revealed too soon. He didn’t succeed, but that didn’t stop his film from becoming a huge success and cementing Hitchcock’s spot as the king of suspense. DreamWorks Animation’s first blockbuster, Shrek, is based on a 32-page children’s picture book called Shrek! 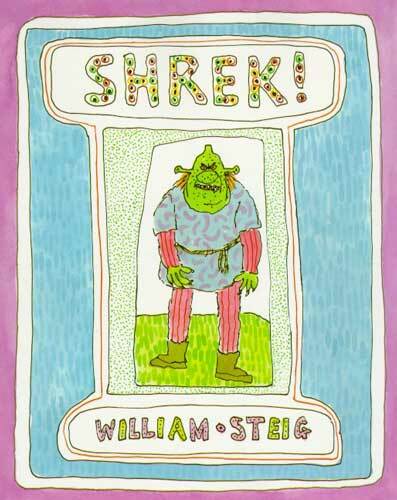 by William Steig published in 1990. Steven Spielberg apparently was interested in turning this book into a film soon after its publication. Although he didn’t wind up helming the project, he can take comfort in knowing his studio received that honor and the generous profits that came with it. 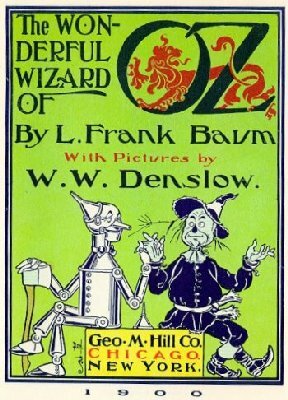 With all of the remakes, spinoffs, sequels, and prequels that have come from The Wizard of Oz, it’s easy to forget that the genesis of it all was a fairly short novel entitled The Wonderful Wizard of Oz, published in 1900. Within two years of its publication it was turned into a Broadway musical. The nascent film industry adapted the book into three silent films before giving us the classic musical version starring Judy Garland in 1939. From there it’s only exploded even more. Oz the Great and Powerful was one of the highest-grossing films of the year and there are plenty of signs that audiences will be revisiting the Land of Oz for many years to come. Today it seems like every film based on a book touts that point like crazy as a huge selling point. It wasn’t always that way, though. Many of the films listed in this article didn’t use the source material much in their marketing efforts, and they instead relied on their own merits to become big hits. Are there others you would have liked to see on this list? I didn’t include Who Framed Roger Rabbit because I already put it on another of my book lists. But that would have been a great one since the book is so forgotten, especially compared to the groundbreaking film it inspired. This entry was posted in Random Stuff and tagged action movies, alfred hitchcock, animated films, apollo 13, astronauts, ben-hur, books, christmas, classic films, david lean, die hard, field of dreams, forrest gump, holiday, movie review, movie trivia, movies, movies based on books, psycho, science fiction, shrek, space exploration, true stories, wizard of oz. Bookmark the permalink. Here’s one, some people aren’t aware that Cabaret is based on a book by Christopher Isherwood called Goodbye to Berlin. Good book and film!